Tightlines Productions show their variation of a Rusty Spinner. I time test effective fly, this variation will allow for the fly to ride higher on the water for great visibility and keep you effectively fishing a spinner fall well past sunset. 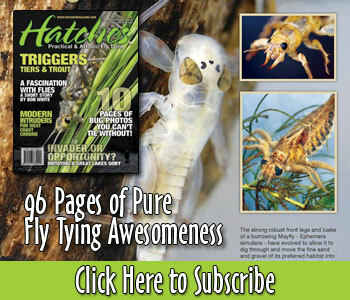 Video by Tightlines Productions check out more HERE. Genius way to split the tails. Bes thing about fly tying you never stop learning. Wow! I agree with Dave – brilliant way to split tails. Have tied flies for almost 40 years and never seen that one!